As an independently owned store, we can offer you a level of service you thought no longer existed, while supporting your local community. Regal is an exceptional line of paints. Regal delivers exceptional hiding so colours come up rich and true. Interior Regal is a very durable long lasting paint (really the only higher quality paint available is our Aura line) and is available in a unique Matte finish for walls. UltiMatte is actually flat and still durable enough to wash. Exterior Regal is a high build paint, meaning you can apply it thick enough in one coat (if the surface allows) and have the proper amount of paint applied for maximum life span. We’re proud to deliver the kind of specialized attention and help that you simply won’t find in larger chain stores. Our store professionals are trained specialists whose experience and helpful advice will ensure the success of every project. 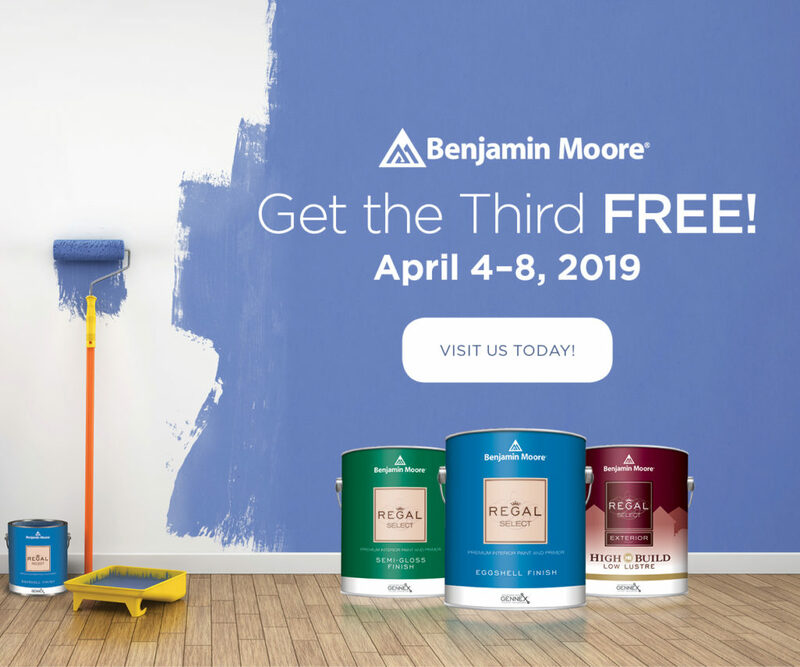 You’ll also find an array of superior-quality products, including premium Benjamin Moore® paints and stains, for all of your projects, simplifying your shopping in one convenient stop – our store!